Enas Sadek is a makeup artist based in Nasr City. Her work experience includes fashion, beauty and bridal makeup. Enas also provides makeup courses. Available for makeup as well as makeup lessons. Leen Elessa is a professional makeup artist in Egypt, offering makeup for the latest fashion tendencies as well as classic styles. Available for bride, betrothal,nightlife makeup as well as any other occasion. Also offers professional sessions for groups. 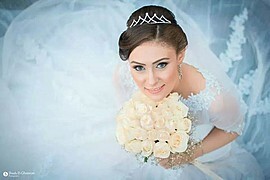 Dina offers Wedding makeup & veil design, Engagement makeup & veil design and Wedding veil designs. 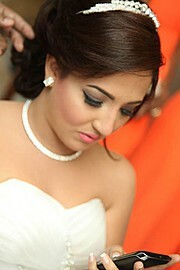 Professional makeup artist in Egypt specializing in bridal makeup. Safy applies natural soft makeup that best suits you and enhances your beauty, making you even more attractive. Noha Abed is a Makeup Artist based in Cairo. She is the owner of Divas Lounge beauty salon & spa. She is certified from Epro Spain, Makeup forever international & Fady kataya lebanses celebrity makeup artist provides all kinds of makeup like Evening, engagement, bridal makeup, veil design as well as facial ..
Ranemesis—Ranim K.— is the only Egyptian/Latin Hollywood-certified, internationally-acknowledged, professional Makeup artist who’s certified from Cinema Makeup School Hollywood , LA with special focus on the Editorial High Fashion track & fashion hair styling and dyeing techniques. She has been in the busin..
For the First time in Egypt Special Effects Make-Up just like Hollywood. Just imagine it and we will make it true. 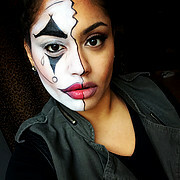 Bella Miro is a talented and highly trained makeup artist who is working with latest techniques to give you a beautiful unique look in your occasion whatever its wedding or engagement or soiree makeup, her package also is highly tailored to fit everybody's budget. Her passion to makeup will gives every bride a soother look than ever.